Nokia 5.1 Plus had been a great success for the company along with Nokia 6.1 Plus, as both devices launched at almost similar time frame. The Android 9 Pie update has also been launched for original Nokia 5, i.e. Nokia 5 TA-1053 (2017), and to be followed by other devices shortly, including Nokia 3.1 Plus, as per roadmap released by the company. 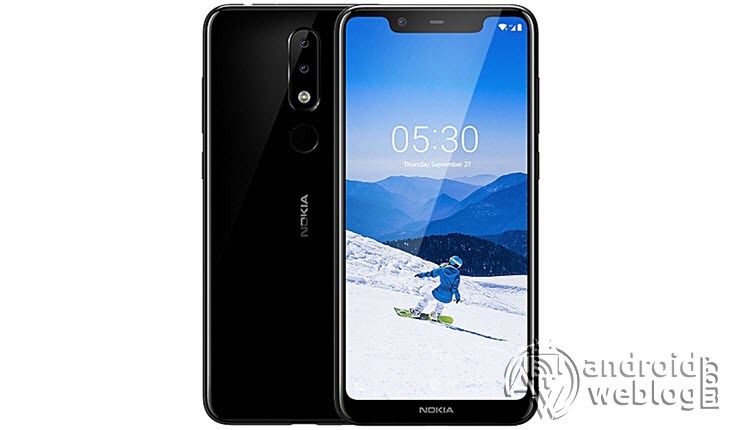 Recently HMD Global had announced the Roadmap for Nokia devices Android 9 Pie update, and it has been initially started with the release of Android 9 Pie update for Nokia 5.1 Plus. The news was shared by HMD Global executive on Twitter, and Nokia 5.1 Plus users has been receiving updates on their Nokia 5.1 Plus TA-1102 devices. The OTA Android 9.0 update for Nokia 5.1 Plus TA-1102 with version no. v2.09B is rolling out, and it is 1214.4MB (1.2GB) in size. It packs new features including new system navigation, settings menu and notifications, Adaptive Battery power prioritization for users most commonly used apps/services, Adaptive and optimized brightness levels, Predictive Application Actions, Google Security Patch 2019-01. The Android 9.0 Pie Update v2.09B is rolling out for Nokia 5.1 Plus TA-1102 users, and we have posted screenshot of the Pie update with version number 6.12E. If you were waiting for the arrival of Android 9 Pie update for your Nokia 5.1 Plus device, and you have not received it yet, then your wait ends here, as we have posted the Android 9 Stock ROM for Nokia 5.1 Plus here in this post, so you can just flash it manually, if OTA update didn’t shown yet. Caution: This update is only for Nokia 5.1 Plus TA-1102 international variant, and must not be installed on Nokia X5 TA-1109 China variant under any circumstances. Step 2: Now, connect Nokia 5.1 Plus TA-1102 device to the computer and copy and paste OTA Zip file to the root/ internal storage. That’s all, here we go. You have successfully upgraded your Nokia 5.1 Plus TA-1102 device with the Android 9.0 Update.